Learn More! Do More! & Become More! You don't need magic to fly Australia. All you need is just a VISA! Explore the new opportunities waiting for you! Unfold your dreams into reality! Earn your Prosperous future! We are your pathfinder at each step. Short Term Skill Occupation List (STSOL) is the Australia demand List which was earlier known as Consolidated Sponsored Occupation List. The list contains 242 occupations that are currently in high demand in Australia. There are 24 occupations listed on STSOL that will only be eligible for positions located in regional Australia (for the subclass 457 and the subclass 186) and for the State and Territory Nominated stream of the subclass 489. Thus, to apply for state nominated visas, make sure to check whether your nominated occupation is currently in demand or not in the Australian labor market. 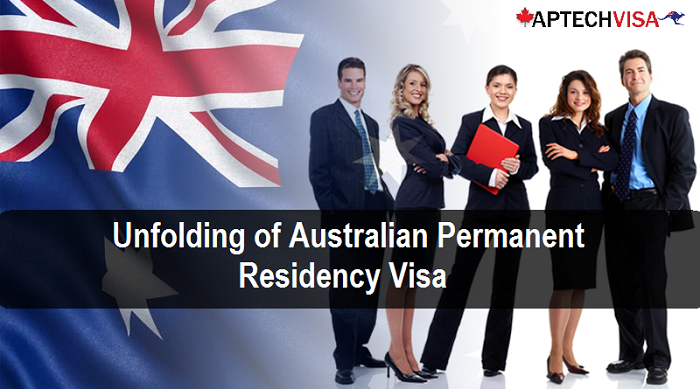 If your occupation is listed on STSOL, you may proceed further to apply for Australia PR visas. Check your occupation on STSOL before applying for Skilled Migration Visas. Below is the STSOL list which has the list of occupations that are currently in demand for the visa subclass 190 and subclass 489. Got Your Occupation Listed on STSOL? Well, if you have enough work experience in your nominated occupation and are fulfilling the eligibility requirements, then without wasting any time, you must apply for Australia Skilled Migration Visa by filling the FREE assessment form. Aptech Global is your best immigration consultant option for Australia PR process. The experts here make sure that all your queries are solved in the most effective way. What are the Latest Updates on the Short-Term Skilled Occupational List (STSOL) ? Can I get PR in Australia if my job is listed in STSOL but not in MTSSL ? What is the Difference Between STSOL & MLTSSL for Australian PR Visa ? If you ask me, Aptech Global is the best immigration consultants, with 200% genuine working and concern for their clients! When I contacted them, my Job profile was not listed in Australia’s SOL. I was heartbroken at that time. But Aptech Team gave me assurance that it is soon going to revise. They gave me regular update regarding SOL and I won back my Confidence! Within just months, my Job profile was actually there! Thank you Aptech for your consistent efforts for my Australia PR visa. I am obliged to you and the entire team!